Join Roy Miki and Slavia Miki on Monday, April 13 at 1:30 pm at the Britannia Branch of the Vancouver Public Library for a free Read Local BC reading event. They will be sharing their 2015 Christie Harris Illustrated Children’s Literature Prize finalist book Dolphin SOS. Based on true events, Dolphin SOS recounts the story of three dolphins trapped in an ice-covered cove on the coast of Newfoundland. After the government fails to provide assistance, some young boys take matters into their own hands in order to save the distressed dolphins. Michael Sieben received his BFA in Studio Art from the University of Texas at Austin in 1999. He was one of four founding members of Camp Fig Gallery (2002-2006) and is a founding member of Okay Mountain Gallery (2006-Present.) His work has been shown throughout the United States as well as Japan, London, Mexico, and Peru. Michael works as a professional illustrator and designer primarily within the subculture of skateboarding and has been a staff writer and illustrator for Thrasher Magazine since 2004. In 2008 he and his friend Stacy Lowery launched their own skateboard brand, Roger Skateboards. Gingko Press in association with Upper Playground recently published a 96 page book of his artwork titled: There's Nothing Wrong With You (Hopefully.) Michael currently lives and works in South Austin in a red brick house with his wife Allison, their two cats, and 5 raccoons in the backyard. Thank you for supporting Michael Sieben and your local independent bookstore! L. Frank Baum , The Wonderful Wizard of Oz. L. Frank Baum's book The Enchanted Buffalo was available from LibraryThing Early Reviewers. 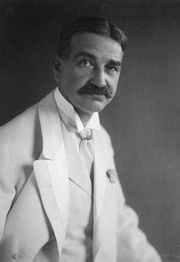 L. Frank Baum is currently considered a "single author." If one or more works are by a distinct, homonymous authors, go ahead and split the author. L. Frank Baum is composed of 24 names. You can examine and separate out names.